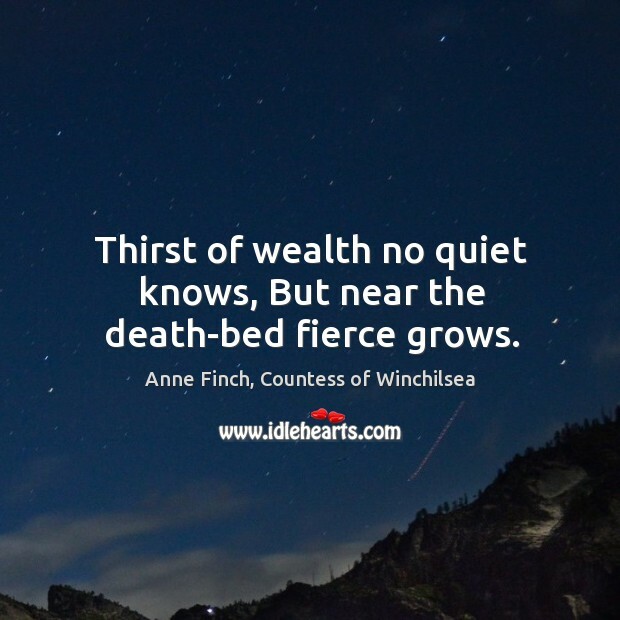 Enjoy the best inspirational, motivational, positive, funny and famous quotes by Anne Finch, Countess of Winchilsea. Use words and picture quotations to push forward and inspire you keep going in life! 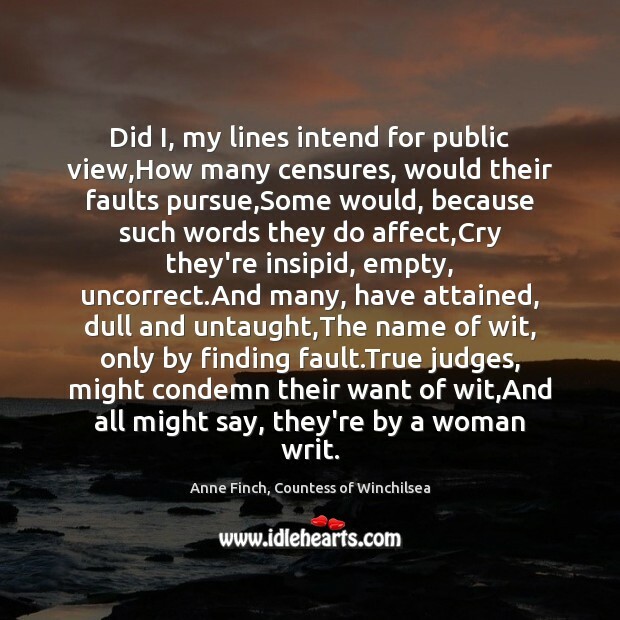 Did I, my lines intend for public view,How many censures, would their faults pursue,Some would, because such words they do affect,Cry they're insipid, empty, uncorrect.And many, have attained, dull and untaught,The name of wit, only by finding fault.True judges, might condemn their want of wit,And all might say, they're by a woman writ.